Not so long ago I came across a product called drinkable collagen. I didn't investigate it any further, but I thought it was something that every anti-ageing geek like me should know about. I have not tried any collagen drinks yet, but it is something that I may consider doing in the future. Really I should thank the company called Veda Health and Nutrition who made me familiarise myself with their product, that is, drinkable collagen. Regardless of different opinions, everyone has the right to know about their options when choosing the product that helps them achieve a younger looking, healthier skin, stronger and shinier hair and nails. Collagen is the primary structural protein of the body, which helps in maintaining youthful skin, bones, and joints as well as thick, strong hair and nails. As we age, our body loses the ability to manufacture collagen efficiently, resulting in many of the outward signs of aging, including saggy, wrinkly skin, stiff bones and joints, and brittle hair and nails. A lot of scientists and doctors say that drinkable collagen would not do anything for your skin as collagen is broken down into amino acids, which you can take in any other form through correct diet. However, there are lots of great reviews about collagen drinks with people saying that their skin has become soft since using the drink, the skin looks more plump and less wrinkly, hair and nails looking shinier and hair feeling softer. Even the ones who state that the product is not good often admit that they see their hair looking healthier, nails stronger or immune system being better. So, I let you make your own mind. Collagen drinks are often derived from fish and taste fishy, which often gives the user an unpleasant experience. How is VEDApure collagen different from other collagen drinks? VEDApure by VEDA Health and Nutrition is 100% Pure Premium Select Fish Collagen Peptides. It is the only marine sourced collagen manufactured exclusively from fish scales, producing the highest quality, purest ingredient on the market. Low molecular weight results in improved digestion and increased bioavailability. No fillers, artificial additives, or genetically modified ingredients. VEDApure is the most advanced, premium grade fish drinking collagen available. Capsules are tasteless, but they are the most difficult to absorb, they are often large and difficult to swallow. Powder is often inconvenient to use as you need to mix it with water and they often have a fishy taste. Creams and serums. Collagen molecules are too large for skin to properly absorb collagen. Manufacturers started to produce partially hydrolysed collagen, which reaches the required layers in the skin, however, the fragments of that collagen are too small to integrate with the collagen layer in the skin. Drinking collagen is easily absorbed and is often claimed to be the most efficient form of collagen. Where can you get drinkable collagen? 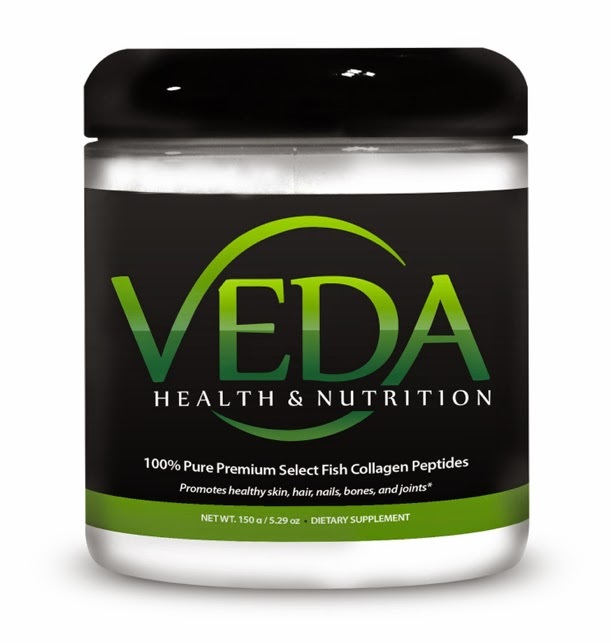 Currently you can buy VEDA Health and Nutrition drinkable collagen on Amazon for US$35. At the moment it is only available in the US and it has free shipping. Have you ever heard of drinkable collagen before? Have you tried it? Would you give it a go?